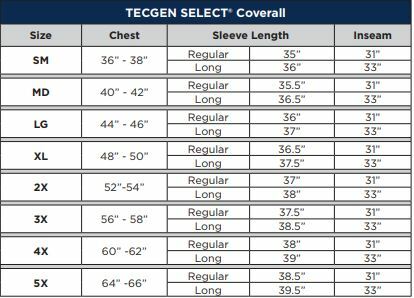 The TCGSCWN0011 by NSA is a TECGEN select FR coverall. Made with an inherently flame resistant 5.5 oz OPF fabric blend, these coveralls have an Arc Rating of 8 cal/cm² and meets both ASTM F1506, NFPA 2112-2012 and NFPA 70E-2015. These dual hazard coveralls feature a variety of pockets including pass-through side pockets with snaps and two chest pocket each with flaps and snap closure. A two-way zipper provides front closure. An elastic waistband adds secure comfort as well.